BowelScreen – The National Bowel Screening Programme is delivered by the National Screening Service. If I have a current bowel condition or had recent surgery - should I take part in BowelScreen at this time? What quality measures are in place? 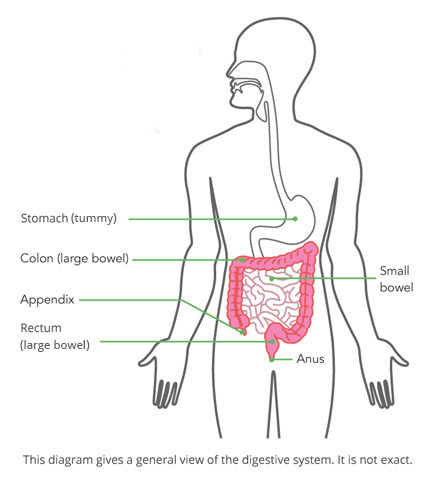 Bowel screening aims to find bowel cancer at an early stage in people who have no symptoms. Bowel screening is a simple home test (called a FIT - faecal immunochemical test) that looks for tiny amounts of blood, which are not visible to the eye, in your bowel motion (also known as a stool). Blood in the stool can be due to a number of causes or minor conditions. But it can also be an early warning sign that something might be wrong. The bowel screening test does not tell you if you have bowel cancer but it might tell you that you need more tests. If you have any concerns about your bowel health or symptoms (see list of symptoms) you should contact your GP (family doctor) immediately. In the meantime if you have any concerns or symptoms at any time please see your GP (family doctor). You do the test in your own home. The programme will send you a letter asking you to take part in the bowel screening programme. When you get a letter and you want to take part, call us on Freephone 1800 45 45 55. A BowelScreen home test kit will be sent to you in the post with instructions about how to do the test. You will need to produce a stool (bowel motion) and collect a sample on a sampling stick provided in your BowelScreen home test kit. A small sample is all that is needed. There is no need to be embarrassed. It will only take one visit to the toilet. It is quick, easy and painless. If you have any problems or need more information you can call Freephone 1800 45 45 55. By giving your expressed consent you have agreed to take part in BowelScreen programme and do a home test. You also allow BowelScreen to recieve, hold and use your personal details and information about your BowelScreen clinical record. BowelScreen will share this information with your GP (family doctor), the colonoscopy clinic and the National Cancer Register. Anyone who has any concerns, or experiences possible symptoms of bowel cancer should contact their GP (family doctor) immediately. No. If you have any concerns or have one or more of the possible symptoms of bowel cancer, you should see your GP (family doctor) immediately. Do not wait to receive your BowelScreen home test. Yes. If you are currently having treatment or have had a bowel condition or surgery or indeed you are concerned for other medical reasons, you should ask your GP (family doctor) for further advice on whether it is appropriate for you to take part in the BowelScreen programme at this time. We offer a colonoscopy to everyone who has a BowelScreen home test result showing traces of blood not visible to the eye. A colonoscopy is the best way to diagnose bowel cancer and other conditions. The Quality Assurance Guidelines for Colorectal Screening are a set of processes and standards to support the national programme. Developed by experienced medical and surgical consultants. A quality assurance committe supports the ongoing quality assurance standards. Please let us know if you do not wish to take part in the programme by contacting us on Freephone: 1800 45 45 55 and we will make a note of this and send you a letter confirming that we won’t contact you again unless you ask us to.